Clocking in with nine tracks (no intros!) 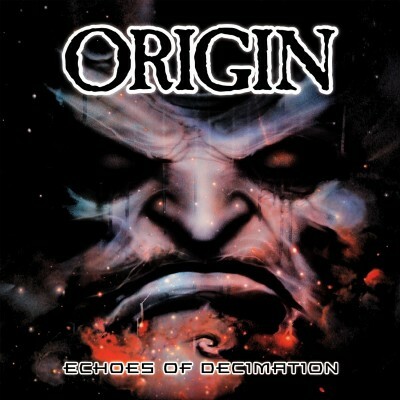 in just under half an hour, you might suspect that Origin’s newest release in well over five years is fast. Oh, yes—it’s fast, alright. With members in the past having ties to Nile, Hate Eternal and other bands, you know what you’re going to get with this band. Here we have an almost all-new lineup. The typical manic speed is there, as is the technicality. I must admit, it’s not too bad of an album. I especially identify with Origin’s “pseudo-nihilistic” rantings about outer space and the human element that may be related to it. If you’re looking for a place to learn about technical death metal, this is the place. If you already know, why don’t you have this yet? This review originally appeared in Butcher’s Block, May 2005, Issue 197.